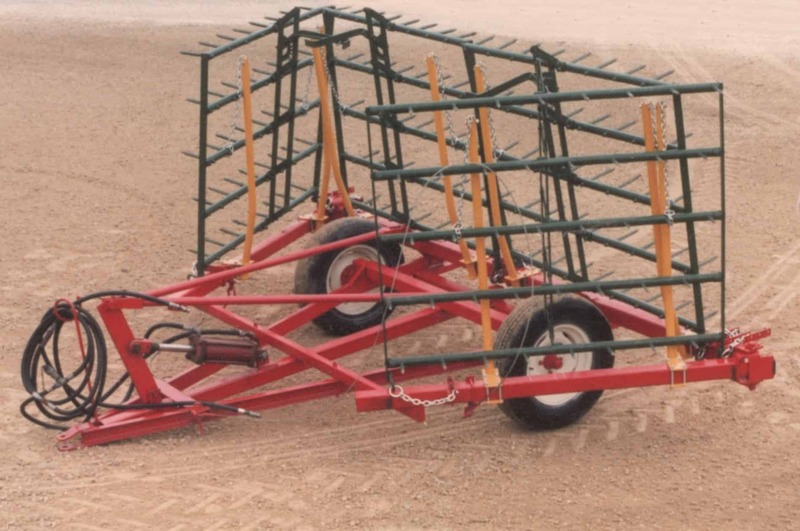 The 3-section “HD-321” (Shown above) comes with a long pole for hitching to a disc or field cultivator as Standard equipment, and will accommodate any of our 5-bar sections. The ease, safety and speed of a hydraulic cylinder raises and lowers the harrow sections for truly labor-saving harrowing and weeding. 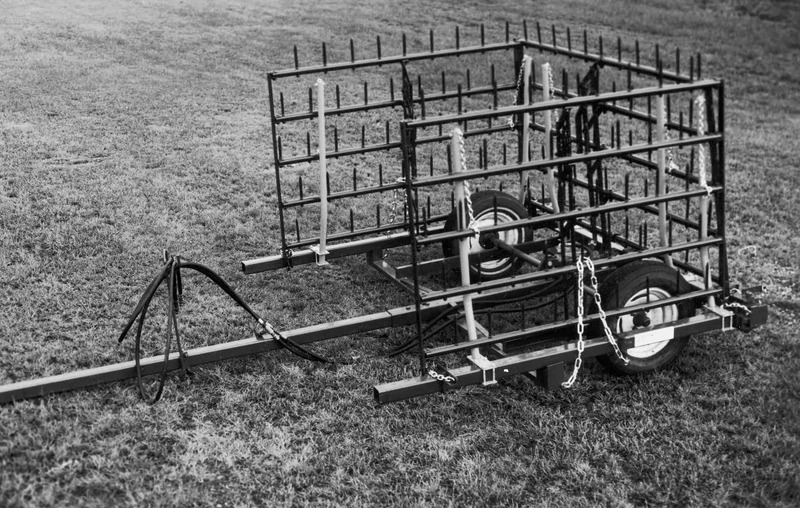 It is the trailer-mounted hydraulic drawbar and transport that raises and lowers sections by merely flipping the hydraulic lever. The cart frame is a heavy-duty frame – All welded construction, equipped with 15” D.C. wheels with tapered roller bearing hubs. The lift arms with a high arch give harrow sections maximum clearance. These units use a standard, double acting 8” stroke hydraulic cylinders. This cylinder is furnished. The outer section on each end folds forward. Four-section units are two sections wide in transport position, while the HD-321 is 1 section wide in transport..
HDPE-60 Pole Extension is available for tandem operations on the 4 section units. The HD-321 comes standard with a long pole.